Starting to see a few other posters come out from underneath the snow and start their training blogs again. Nice to know I’m not alone. Me. Me. Me. So ok, there are people on the streets now running. It’s beautiful. Poor souls thinking 30 degrees is a paradise. I won’t hate. Weather’s supposed to get a little warmer in Indy this week (up to the 60s). Probably consider packing in some morning miles once it warms up some more. Otherwise, things are progressing nicely as they are. *Never difficult to rest, is it? Not for me. Good day. *Still dragging on the bench press, other lifting increasing on schedule. *Bam! Great work in the gym. If I could do this without the rest, I’d be in Rio in 2016. *Fun new workout on the Bosu ball. Lots lot of leg quivering. *Another terrific speed workout. Stayed late at the gym for this one. *Useless. One-legged stands and stuff. I’ll never do it again. Back to regular weights next week. *First one of these I’ve completed this year. Fourth attempt and a good one. Welp…what to eat. Been a struggle trying to nail down the nutritional side of things for a while, but that won’t stop me from trying. Latest gimmick…increase the amount of fiber in my diet. Read online somewhere that we should take in 14g of fiber daily for every 1,000 calories consumed. Same link says 38g is suitable for adults. I’m going with 50g. Why? Because I gotta know. The whole premise is more fiber, more fullness, better portion control. Plus, the fibery foods are the good stuff (oats, beans, certain pastas), better fuel. Just don’t stand behind me this week. Workout: Warm [1.5 mi. ], 4x400m @ 1:09-1:19 w/ 400 jog, Cool [1.5 mi.] Weather: 48 degrees, cloudy, windy. Took the car to the auto shop this morning to get it ready for the road trip to Indianapolis this weekend. Figured I might as well get a run during the repairs. Diverted to a middle school once I realized that the park where I wanted to do my workout was too far away. Turns out the middle school was too far away as well. Ended up walking about 1/2 mile after my warmup. Usually when I go to the middle school track, some gym coach comes out and kicks me off the track. Something about child safety, strangers on campus during school…blah, blah, blah. I figured it’s cold and windy outside, so I shouldn’t have any problem today, right? Wrong. Immediately after knocking off the first 400m, I heard an army of shrieking middle girls – hardly dressed for 40-degree weather. Flying towards the track. Coach rushed them out of the gym for reasons I can’t understand. In any case, that was my cue to leave. Mid-workout. I kept the workout going … proper rest period and all. Ran out to the road in front of the middle school and finished the workout there. The road move slightly downhill, which allowed me to pick up a little speed along the way. Here’s the great part of the workout. All of the times were on the slow end of my target range. It was cold and windy, and I was running in a place I normally don’t run. But rather than quit today and say I didn’t have it, I kept going. The speed is important, no doubt, but so is the effort. I focused on my mechanics, keeping the arms pumping, good posture, and straight-ahead motion. Oddly enough, it got a little easier. I’ve taken three rules out of the experience to apply to my future workouts. Mechanics: Make sure the running form is solid going to begin with. No flailing. Pace: If possible, ensure that the first repetition or mile of a workout is within goal pace. Maintain form afterwards. Progression: Every week, interval rest periods should decrease. Length of long runs should increase. Over time, the speed and the stopwatch will catch up to my satisfaction. But I have to put forth the effort and make sure the workouts are progressively challenging. I also feel like with these rules, that it will be hard to view future workouts as “failures” as long as I stay healthy and put forth a good effort. Workout: 15 miles @ 7:19 pace. Weather: 36 degrees, partly cloudy. (c) Perform two out-and-back routes of 12 and 3 miles, respectively. I accomplished none of the above. Doesn’t mean the run wasn’t successful though. Morning weight was a little high (up 4 pounds over two days) from eating pizza and candy yesterday, but whatever. My nutrition’s a mess. 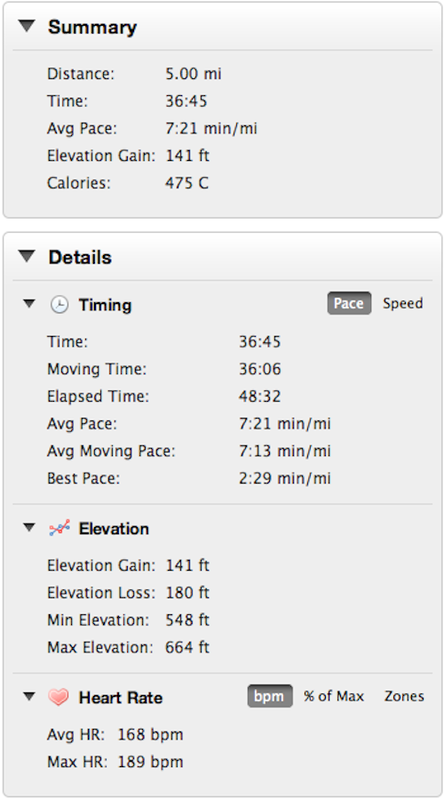 And I haven’t been able to correlate “healthy eating” with good running…at least in the short term. Very cold weather for me – adjusting down about 35-30 degrees from what I’m used to running in. I did pack warm running gear for this weather and was ready to go on. Mentally (there’s always something with me), I wanted to think of this run as five different three miles runs (5Ks). I wanted to pay as little attention to mileage as I could but stay on pace during the runs. The first couple 5Ks went well. Passed a Navy ROTC group training on the trail and gave a couple high fives to the guys and gals out there putting in the work. Good feeling. I was on pace and everything was good. Coming back from the end of the trail, I promptly failed objectives a through c. The trail ended at a place where I was supposed to cross the river and continue the trail on the other side. 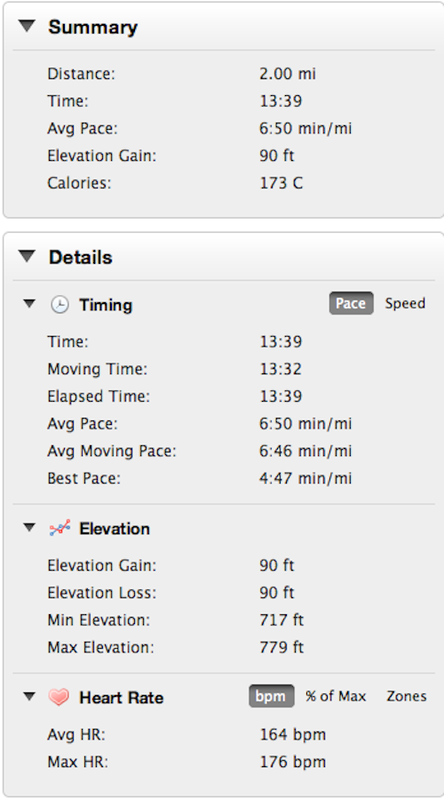 Not wanting to lose my pace, I panicked…ran away from the river and that’s when an easy run got interesting. I stopped three times over the last six miles to ask four homeless men, a police officer and a hotel valet how to get back downtown. Each of those stops meant that I had to work hard to get back on pace during the run. 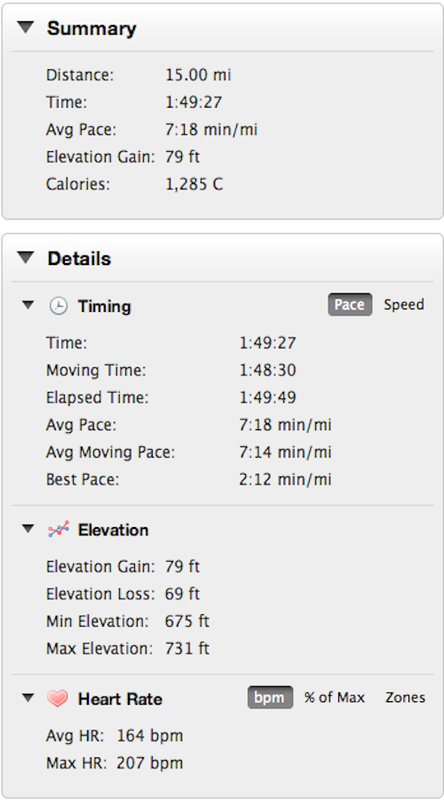 (The Garmin did help me a little bit by auto pausing in some places). The 15 miles expired close to the hotel, so I was able to walk back. Closed last mile in 6:57, and finished with a 7:18 pace overall. Still having issues with my heart rate monitor early in runs though. Really have to make an effort to wet the thing better before going out. That said, these long runs are still my favorite runs during the week. Time to eat, rest, watch football and pull out a map.